Excellent all around playing condition-excellent tone. Tuning pegs are metallic made to accept acoustic steel strings as well. Only 506 produced in 1962. Case included but not original. Illness forces sale. 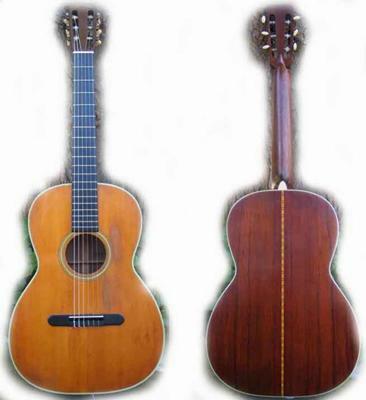 Just a thought, but if your guitar contains Brazilian rosewood, it may be worth considerably more than $3500. I'd have it appraised before selling.